All works are listed by category and subcategory. E.g. 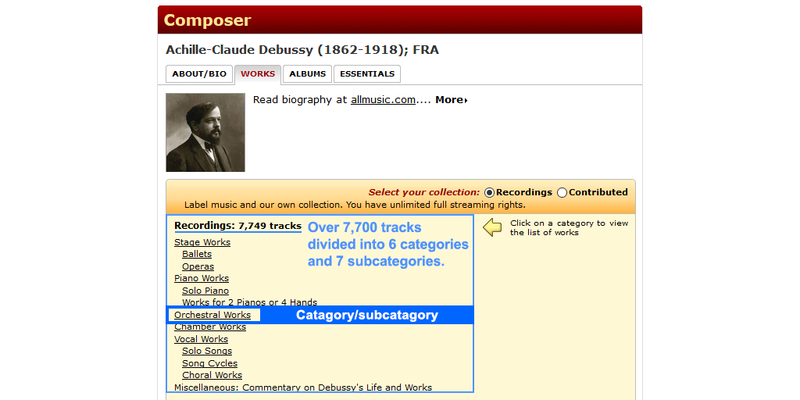 for Debussy we have over 7,700 tracks divided into 6 categories and 7 subcategories. Click on a catagory or a subcatagory to display a list of works.